*Cleveland, Ohio –– The Official R&B Music Hall of Fame Museum LLC, today announced that the Rock and Roll Hall of Fame Museum President & CEO Terry Stewart is giving his support to establish the Official R&B Music Hall of Fame Museum in the City of Cleveland (see promo video below). Founder of the R&B Music Hall of Fame Museum, LaMont “ShowBoat” Robinson says he met with Mr. Stewart last week at the Rock and Roll Hall of Fame Museum to get his support for the project and Mr. Stewart said yes and also agreed to support new project with a letter. Mr. Robinson says this is a major endorsement after last week Lee Bailey of EURweb reported to the press that the late King of Pop Michael Jackson and Whitney Houston would both be inducted into the inaugural class for the Official R&B Music Hall of Fame that will be held on Sunday, May 5, 2013 in Cleveland, OH at the Music Hall Public Auditorium, the story went viral all over the internet and fans of Michael Jackson and Whitney Houston showed their support for the two legendary entertainers in record numbers and it caused people from other countries to begin calling and emailing seeking information on the date tickets would go on sale for this event. 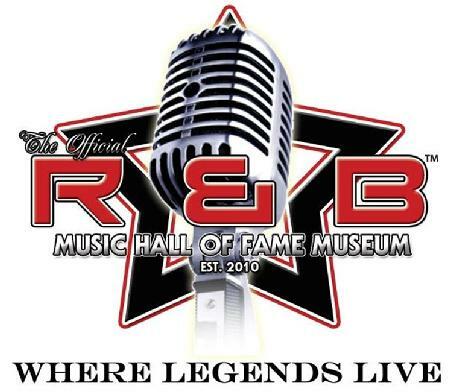 The board of directors of the Official R&B Music Hall of Fame Museum along with its founder Mr. Robinson says it is a no brainier to build this project in Cleveland, Ohio after Mr. Stewart’s endorsement. Currently the City of Cleveland plays host to the the Rock and Roll Hall of Fame Museum, Polka Hall of Fame and construction is underway for the building of the $120 million dollar Toby Keith’s “I Love This Bar & Grill” county music complex along with the Official R&B Music Hall of Fame Museum this will make the City of Cleveland, OH the new music capital of the world. Previous ArticleSOS!! Young People Please ... Don't Take Your Own Life!